Are you looking for a DJ that will take your wedding party to the next level with his experience and music expertise? Are you looking for the DJ that will NOT play the same music that you heard last week and the week before in other wedding that you were invited? Finally, are you looking to hear something new in your wedding from a professional Wedding DJ and not an amateur one that just got into the business after playing at home? 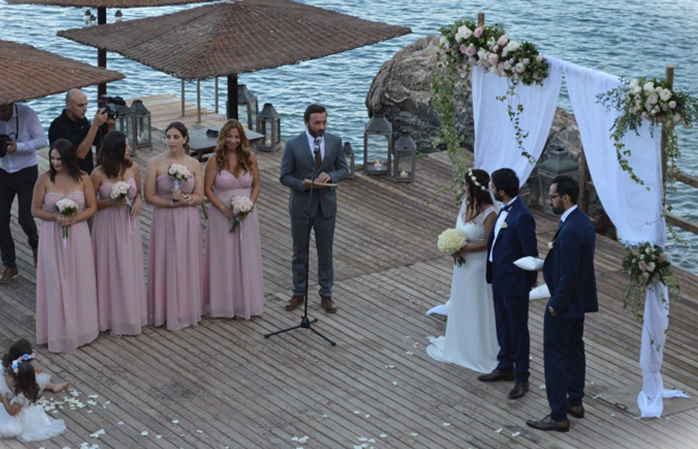 We will be glad to cooperate with you and give us the ability to make your wedding day unforgettable both foy you and your special guests! 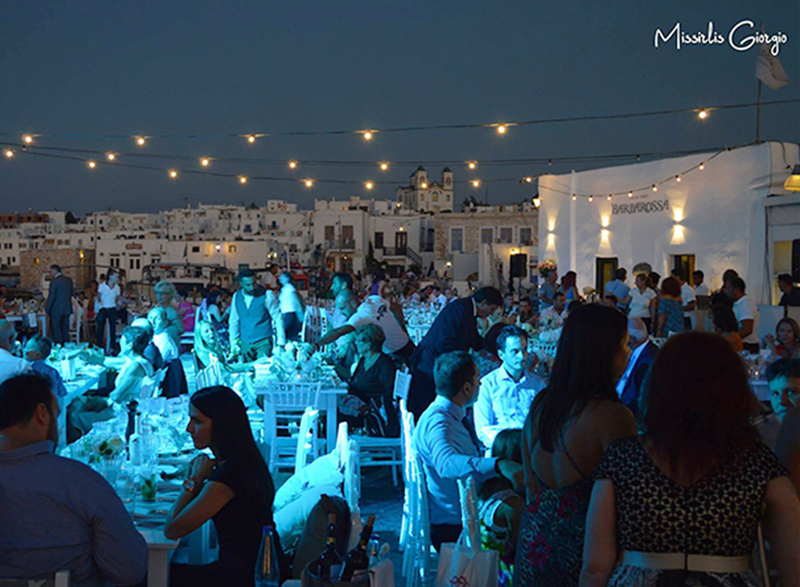 1I am planning my wedding in Mykonos. Can you handle the wedding party? There is absolutely no limit on your guests,as we adapt our equipments based on your needs as wells as the number of your guests. Wedding DJ is able to handle every volume of guests for your party! 3Is there a standard playlist? 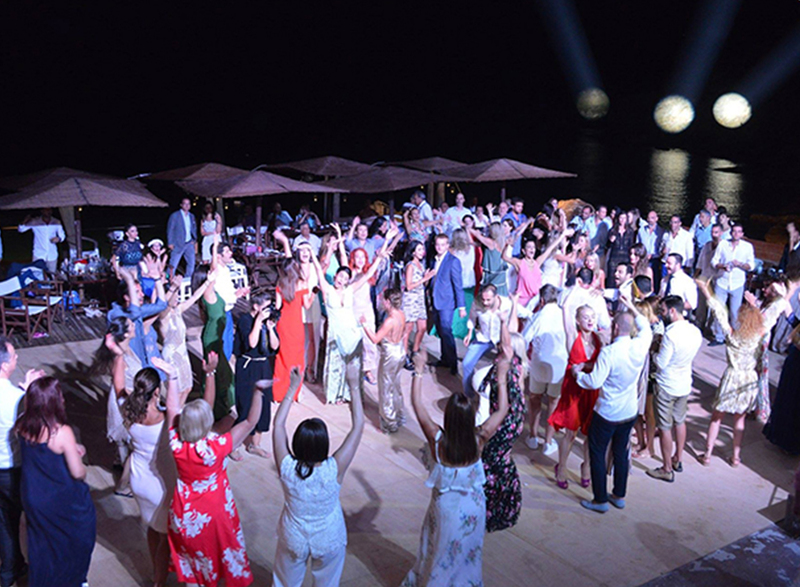 There is no standard playlist as there are many age groups among your guests along with the preferences of every client. Guests in most cases may vary from 18 years old to 70 years old. 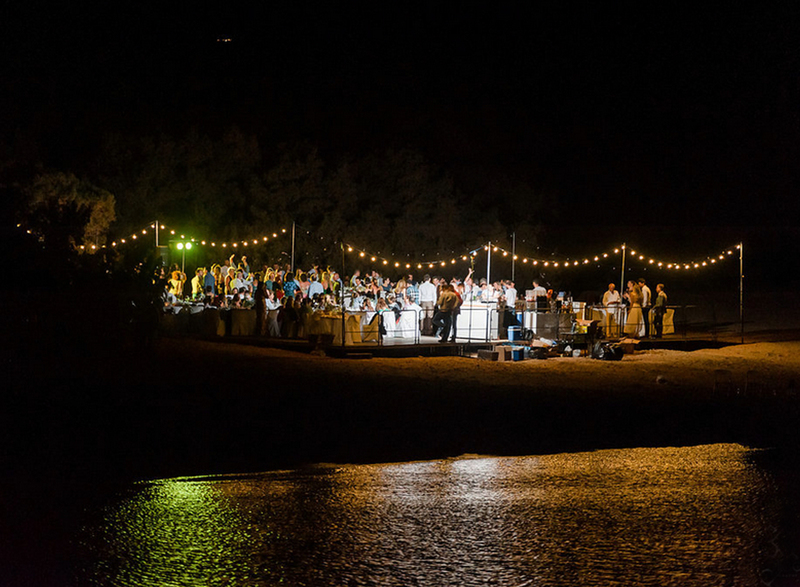 Ourmain goal is for everybody to have a good time keeping always in mind the couple’s preferences. The key element of Wedding DJ parties is that we try to blend modern music sounds with traditional Greek music, when this is necessary. 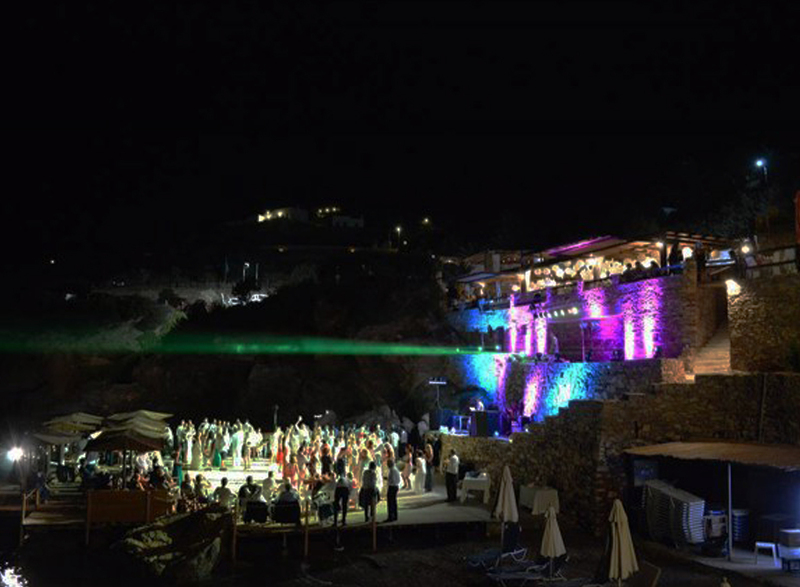 We are far beyond the classic approach of most wedding DJs in Athens, giving a unique live DJ set experience to our clients with Real Time Professional Mixing. 1How long before the wedding do I have to get in touch with you? For dates with high demand such as Saturday nights from mid-June till the end of July and from the end of August till the end of September, it will be the best for you to contact us as early as one year beforehand. For the rest of the dates, such as Fridays and Sundays, we advise you to cntact us 5 to 6 months earlier. 2How longdoes the music coverage lasts? The sound coverage for a wedding party, including the buffet music, can last up to 7 to 8 hours. You can realize that this is a totally challenging shift for a DJ that needs to be quick, with shift changes in tracks and adjustments. 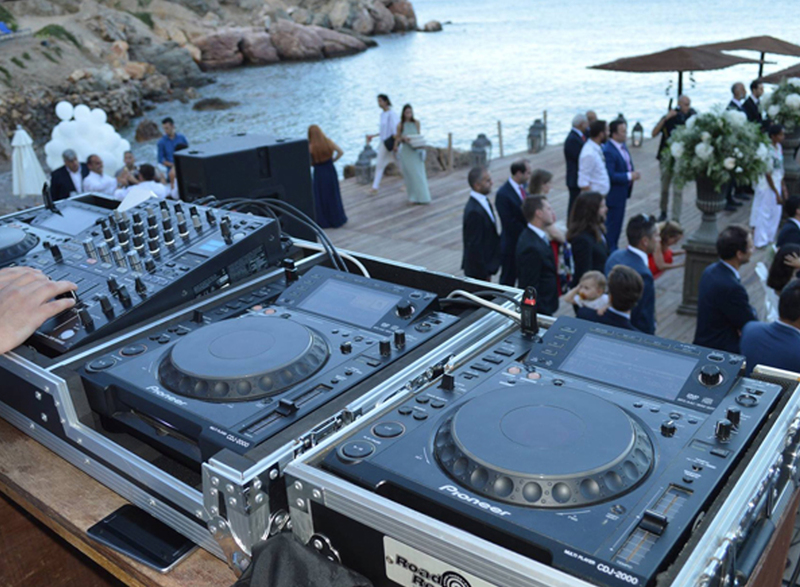 In many parties, it may last for up to 10 hours, but it is advised that the client should have decided before the wedding, if the party is going to last over 8 hours, so that 2 DJs will be on site. Each time he surpasses himself and pleasantly surprises us! Once you hear him you won! Anyone who wants recommendations can send me to the inbox! George is excellent at work because he just loves it !!! He works consistently and with inspiration, constantly communicates with the world, catches the pulse and adapts music to all tastes. That's what we and all our friends worshiped that evening in Sifnos. George, thank you for the unforgettable wedding party and for the magical memories that will accompany us a whole life !! We chose George because we liked the way he showed us and then showed us that our wedding party would be perfect! Everything was right and as we agreed. Together with Nikos Carino (dj) the party went sky rocket! We thank George and Nikos for everything you did for us! I also want to thank you for your impeccable services at our Wedding at the Lolo Multipurpose. With all the awareness of the importance of a Wedding Day advice, I would not recommend anything mediocre to any couple who has anxiety about organizing her marriage. • We returned home at 9:30! • music was fantastic! (We explained about our tastes and our geographical roots and left it on the djs group) • sound quality flawless • the perfect lighting (according to the video team gave us another perspective on the video) I hope this sweet taste is left to every new couple and not just a party! Dj Giorgio is the Boss! 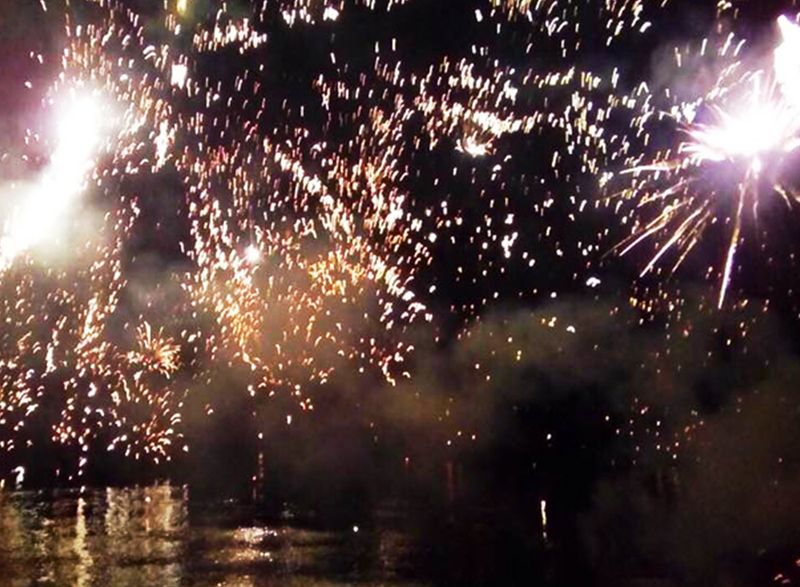 The party went train to 6+ Lights, Fireworks, LOVE *, sound all flawless. It covered even our most demanding guests. Thank you George! 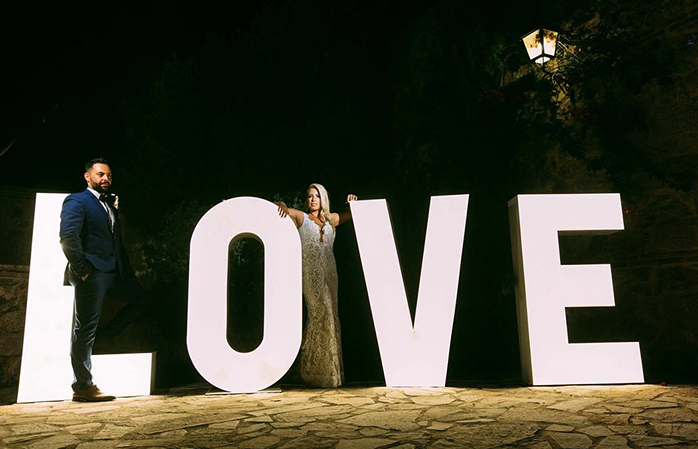 MANOLIA MICHALOPOULOU Thanks for the lighting, the phial and the light letters that filled our color and atmosphere with our wedding! We strongly recommend them !!! The music blow the rhythm of the party. Everything was done as we had arranged! Fantastic dj and great lightning..you are simply the Best.Thank you very much for everything! You easily took our wedding way higher than our expectations…he created a sensational atmosphere…in the most beautiful day of our lives!! (If only we could marry again, just to live again the great party you planned! Send us an email in order to receive an estimated cost for your wedding!!! and we ‘ll email you with our latest news!